Kate qualified as a Member of Ilex in 1994 and attained Fellowship in 1996. Kate is an Associate with the Firm and Fellow of the Chartered Institute of Legal Executives with over 25 years experience in our Private Client Team. 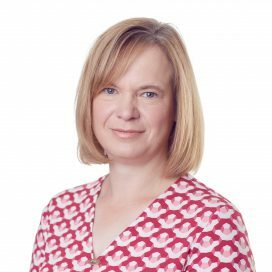 Kate specialises in probate and estate administration and deals with a range of private client work including Wills, Powers of Attorney, trusts and tax. She acts for individuals, executors, estate beneficiaries and trustees. Kate enjoys spending time with her two and four legged family, supporting her husband and two children in their interests, as well as dog walking, music and particularly riding and competing her horse.